In previous posts, we were discussing various topics dealing with professional office cleaning, such as the necessity of hiring professionals, professional cleaners vs. in-house cleaning crew and all the pros and the cons that come with hiring a professional cleaning company. 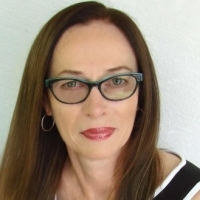 As we’ve seen, the pros certainly surpass all the possible cons and having trained and well-experienced professionals in charge of cleaning your office space is the way to go if your ultimate goal is a clean and healthy work environment for both your employees and your clients and/or customers. Now that we have that out of the way we can discuss some more specific issues relating to office cleaning. And today, we’ll start by focusing on one of the main elements of office cleaning – professional carpet cleaning. The topic of today’s post will be some of the most common carpet cleaning misconceptions as we will try to go through some of them and give our best to offer an explanation and a solution if there is a need for one. And believe us, this is a never-ending topic. So, let’s dig deeper into the world of professional office carpet cleaning, shall we? Most of us probably know that feeling you get when you install brand new carpeting in your office space. It could be a result of office restoration or simply an upgrade to your current office look. Still, brand new carpets really make a big difference, both aesthetically and health-wise. And, when choosing your new office carpets the process can prove to be a bit overwhelming, with all the possible colors, materials, fabrics, and shapes. But, once everything is done and set, you are left with brand new carpets giving your office a new and improved look. So, what could ever go wrong here? We will deal with our first issue regarding professional carpet cleaning. Or, maybe it’s better we call it a potential misconception. Ok, so there is a long-standing misconception stating that cleaning your new office carpets will cause them to wear out sooner. Is it true or not? First of all, let’s start by saying that a lot of today’s carpets can actually be much dirtier than they seem to be since they are designed to conceal dirt and stains. In this way, it may seem at first like your carpet is pretty clean and there is no need to call your cleaners when that actually isn’t the case. It may even sound mind-blowing, but some carpet weave designs are so good at hiding dirt and stains that even as much as a full pound can be extracted from just one square foot during the cleaning process. What isn’t a misconception is the fact that if you let dirt linger in your office carpets it will wear them out sooner rather than later. Bear in mind that dirt, soil, and other substances will act as abrasives and will eventually cause damage to your carpet fibers. To avoid any of this, even with your new office carpets, make sure to keep in touch with your cleaning company; they will advise you and tell you when the time is right to have your beautiful carpets professionally cleaned. We will stay on the topic of your carpets (not) looking dirty with our next carpet cleaning issue. So, if your office carpets don’t appear dirty, can you put off the cleaning? As we’ve said, nowadays carpets may seem clean when in reality they are not. That is why it is essential to work closely with experienced cleaners who will know to assess the situation and clean the carpets when they should be cleaned. Your office carpets can hide more than just dirt and stains which is why regular and professional cleaning is a must. They can actually conceal germs, various pathogens, chemicals as well as other pollutants, trapping and then releasing them into the air as people walk across your carpets. This is why it is crucial to plan carpet cleaning in order to keep your employees, clients and/or customers healthy. With commercial carpet cleaning comes the expertise and the equipment to remove all the dirt, germs, and toxins potentially lurking in your carpets. Final carpet cleaning issue to discuss today is the necessary cleaning process time. Business owners sometimes feel that cleaning their office carpets will interfere with the daily activities at the office and that the drying process will be so long their business will have to close until the process is done. So, is this fear justified? Well, not so much, to be perfectly honest. Today’s professional cleaning companies can use a low-moisture method to clean your office carpets. The idea behind this process is that it traps and lifts dirt from carpet fibers using a soap-free product, leaving the carpet looking and smelling clean and fresh without long dry times. Of course, this isn’t the only method that can be used and experienced technicians will know how to choose the right one, as well as the right equipment for properly cleaning your office carpets. In any case, they will do their best not to interrupt or disturb your regular office activities. 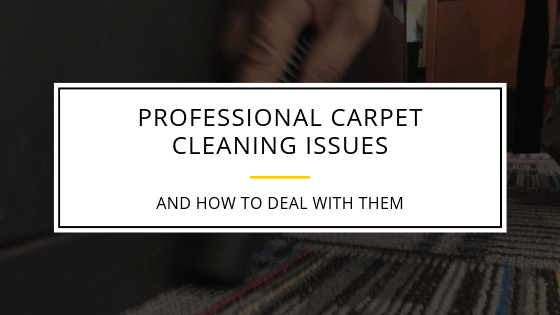 In today’s post, we tried to answer some questions regarding professional carpet cleaning issues and how to deal with them. Hopefully, we were able to discuss some of the more common ones in detail and find the right solution for each and every one of them. As we’ve seen, investing in new office carpets is an excellent choice which can do wonders for your working space. You just have to keep in mind that even new office carpets need regular and professional cleaning from the start in order to prolong their lifespan and to keep them in their best condition. And, with the help from your cleaning company, this task will be done professionally, leaving you with fresh and clean office carpets that will be the perfect addition and will contribute greatly to the overall look and feel of your office space. Investing in new office carpets is an excellent choice which can do wonders for your working space. You just have to keep in mind that even new office carpets need regular and professional cleaning from the start in order to prolong their lifespan and to keep them in their best condition.